work, teachers will know that they’re not. When I heard Ofri share a doctor’s reason for staying late even though it would affect his family life, I paused: “Because it’s the right thing to do.” This idea appeared in the middle of a chapter that explored the excruciating amount of paperwork that doctors endure, something that teachers know all too well. If it’s documenting interventions, signing off on IEPs, logging and recording professional development hours on paper in addition to recording them on two different websites (I still haven’t figured out why our ISD’s site doesn’t communicate with the state’s), teachers often feel frustrated because they want to do the work that’s at the heart of the profession: teach kids. This is just like doctors and what they want to do: attend to patients. Just last year, a colleague shared a similar idea. She couldn’t dedicate as much time as a beginning teacher anymore, and she had to decide what was more important: being the best mom or the best teacher? Teachers or doctors should never have to decide between being a good parent or being a “good” teacher, but the demands placed on both professions are so high that there isn’t enough time in the day to do what’s best and what’s required. I can’t count the number of times that I’ve asked myself how this paper, this document, this write-up is actually helping kids and, instead, another required aspect of my job that’s far removed but mandated. Ofri also talks about “the damage from unnecessary testing” on patients. As teachers, we know this all too well. A few summers ago, I read about construct validity and consequence validity when it comes to assessing students in Beyond Standardized Truth. Although we might not physically harm a student with testing, there are emotional and psychological consequences to the assessments students encounter and sometimes are forced to endure. This alone needs to be explored more by both doctors and teachers. Recently, the Department of Education announced its plans to move forward with evaluating teacher preparation programs. What complicates this is the incorporation of value-added theory that a teacher’s effectiveness can be determined based on standardized test achievement of students and, likewise, a teacher preparation’s program can be evaluated based on the teachers’ students’ performance for those enrolled in said program. As teachers, we know that standardized test scores accurately predict how much money a student’s family has and has very little to do with the amount of “good teaching” a student has experienced. And we’ve seen this play out where high poverty districts become revolving doors for teachers as they get a few years of experience and then move to more stable, more affluent communities. Similarly Ofri talks about how it is truly complex to measure medical care. In a world where what can be measured counts and what can’t be doesn’t, we often find gross simplifications of complex practice in both medicine and teaching. She talks about online review sites where patients rate their physicians. These are akin to sites like Rate My Professors, which research has consistently shown a gender bias exists. Check out this NPR article for more information. As teachers, we know that not everyone that was a student knows good teaching, just like everyone that has been a patient doesn’t what is excellent practice of medical care. Doctors, like teachers, shouldn’t be ranked and sorted in trivial ways but instead measured by the quality of care they provide, which should also take into consideration the patient’s medical history. Patients, like students, aren’t blueberries. Ofri mentions that more and more often, doctors are hesitant to treat patients with complex medical issues. Perhaps teaching is like diagnosing in this sense, where teachers are practitioners finding out where students need to go next. Doctors with patients with multiple ailments are trying to figure out, like teachers and instructional planning, what the patient will respond to, what they need. Not everything will work and sometimes we make mistakes, just like doctors. We might underestimate a student’s zone of proximal development or forget a social or emotional need that must be treated before moving to an equally complex instructional need. Doctors also are limited in their continuing medical education. Like student teachers, there’s a significant shift in undergraduate educational experiences, where student are exposed to classrooms and coursework, and then shift completely away from daily continuing education when in the field. The teachers I surround myself with daily yearn for continuous and relevant on-going professional development, but it’s so difficult to make time for it (it often occurs during the day when they, y’know, have to teach students) or can afford it. 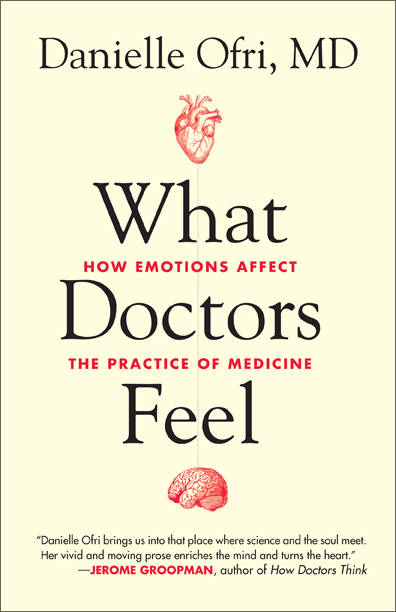 And then I heard this: “[T]he majority of doctors would not recommend the field to their children, or would quit if they could” (149). The National Education Association released a survey that showed similar results for the teaching profession because of high stakes testing, with 45% of surveyed members reporting they considered quitting because of it. It’s this last part that forced me to stop and think. If two incredibly different professions on opposite ends of the pay and respect scales exhibit the same level of low morale and frustration, isn’t there a larger problem in the U.S.? Even though the costlier scrub tops have higher reviews. These are more flattering, but still long enough (always a worry for me). I like all the pockets, too. Comfy and sturdier than other tops I've had in the past.